Hippodamia convergens (Convergent Lady Beetle). Size: approx. 5 mm. Photo: 07/19/11, 9 am. This is a convergent lady beetle (Hippodamia convergens). This species can have 13 or fewer spots and has characteristic "convergent" white lines behind their head. H. convergens is a native and also sold for biological pest control. 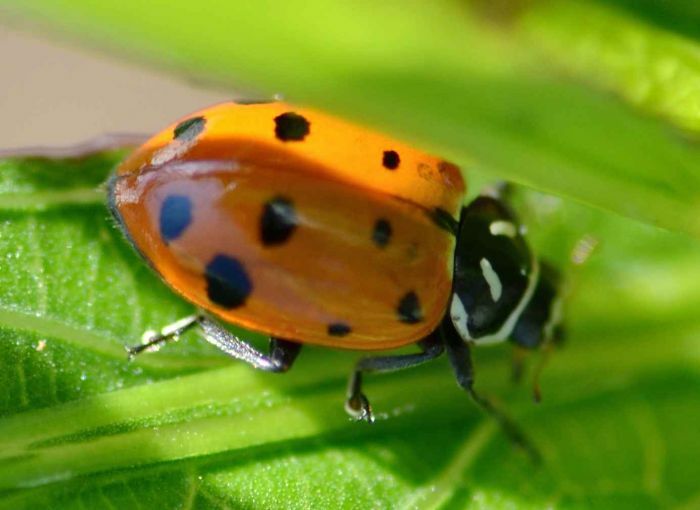 It is among the most common ladybugs in North America.